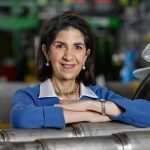 CERN’s Director General is enthusiastic about the progress and prospects of the LHC research program, but it’s not the only thing on her plate. We continue to be engaged in executing our international strategy of strengthening our reach by ensuring funding agencies and key diplomats are kept up to date on our programs. 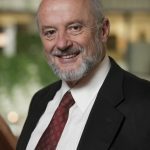 The University of California Board of Regents has chosen Michael Witherell to lead Lawrence Berkeley National Laboratory. Mike was director of Fermilab from 1999 to 2005. 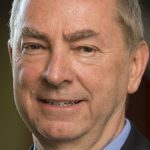 Nigel Lockyer, director of Canada’s TRIUMF laboratory for particle and nuclear physics and a professor of physics and astronomy at the University of British Columbia, has been selected to become the next director of the U.S. Department of Energy’s Fermi National Accelerator Laboratory. 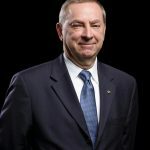 The Fermi Research Alliance (FRA) Board of Directors, which manages and operates Fermi National Accelerator Laboratory, announced today that Fermilab Director Pier Oddone has decided to retire after eight years at the helm of America’s leading particle physics laboratory. Fermilab Director Pier Oddone, who took office on July 1, will be the guest speaker at the lab’s Ask-a-Scientist program on Sunday, August 7, at 1 p.m.
Officials of Universities Research Association, the consortium of universities that operates the Department of Energy’s Fermi National Accelerator Laboratory, today (November 19) announced the appointment of Piermaria Oddone as Fermilab’s fifth director. 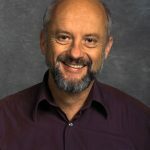 Robert Rathbun Wilson, a Wyoming cowboy who built the world’s highest-energy particle accelerator laboratory with the eye of an artist, the shrewdness of a banker and the conscience of a human rights activist, died late Sunday night at a retirement home in Ithaca, New York, near Cornell University. He was 85.